I had posted a brief first light review here soon after capturing my first image on the Avalon M Uno. However that was with my SVR90T. I promised to do a formal review after more time with the mount and after more challenging long focal length imaging with the 9.25” Edge HD. So here it is. Please note that my technical knowledge is limited. I have no background in engineering, mechanical design or software development. So this review is more a condensed blog by an amateur imager looking to produce high quality images with as little trouble as possible. When I first began looking for a new mount about a year ago, I knew for the most part what I was looking for. I had been imaging with an LX200 fork mount. I loved the simplicity but the periodic error, tracking and guiding left a lot to be desired. I was able to get decent images, but it required a lot of work in processing, particularly with star rounding techniques and sharpening. Although on a good night I was able to sleep the night through, as the fork mount required no interruption for a meridian flip, this was inconsistent. Guide stars were frequently lost, and often I woke up to mostly wasted subs. I wondered why, when many large professional research grade observatory telescopes are fork mounted, there were no commercially available equatorial fork mounts that could track as well as the readily available German equatorial mounts. I began to inquire about GEMs that would allow imaging well past the meridian before requiring a flip. And while a number of them could, none could do it consistently without regard to latitude, target altitude, pier configuration, etc. And no one with a GEM could image all night, tracking a target from horizon to horizon without a flip as I had become used to. So I considered a Losmandy G11 with Ovision worm, which seemed to be an excellent performer for the cost, but mixed reviews and tinkering requirements were a concern. Being used to and comfortable with Meade, I looked at the LX850 but quickly realized that it was way too massive to be portable, since I am in and out of the garage with my setup. Also I wasn’t sold on the Starlock concept, nor would I need it with my OAG. I then began looking at “entry level premium” mounts that would handle a 30-40 lb imaging load, such as the Takahashi EM 200 Temma II and Astro Physics Mach 1. The Software Bisque MyT was not yet available. However, none of these offered what I really wanted, which was horizon to horizon flip free imaging. I know that many fully automate the flip successfully with plate solving, automation software, encoders etc., but I believe that it is a small minority with portable mounts that can truly sleep through a 6-8 hour imaging session and wake up without a wasted sub. And in my opinion why would anyone want to deal with a flip, which is unnecessary and inherently inefficient, if they didn’t have to. Then I came across an article describing the original Mesu mount from 2008 which was exactly what I was looking for: a flip- free friction drive mount with a reported native periodic error of 2”. Unfortunately, I soon learned that this version of the Mesu was long discontinued. Finally after placing myself on the obligatory six month waiting list for a Mach 1, a Cloudy Nights member told me about the Avalon mounts from Italy, specifically the M Uno, a belt driven, single arm equatorial fork mount with an imaging capacity of 20 kg. I read the few reviews available including Ted Saker’s article in Astronomy Technology Today. And after seeing some amazing images being produced by M Uno users in Europe, I wondered why I hadn’t known about these mounts before and why they weren’t more popular in the US. Anyway, after some discussion with Ed Thomas of Deep Space Products (the sole US distributor) I was quickly sold. I purchased at discount the demo model used in the ATT article in August. Ed was and remains a pleasure to deal with, as has Luciano Dal Sasso at Avalon. Within a week of ordering, FedEx arrived with two boxes. The box containing the tripod was mashed up nicely, though the tripod itself, other than showing minimal use wear, was unblemished. I purchased the mount with a Geoptik Hercules mount. It is a heavy duty, attractive wooden tripod with more than 125 kg capacity and quite well matched with red metal trim. It came with a glossy red soft nylon Avalon logo bag. Though the Avalon T-Pod 110 is somewhat lighter and might have made more sense, the Geoptik is very sturdy, demonstrating minimal image vibration and quick damping even after a direct hit. The mount was shipped in a matching red re-enforced soft nylon case. While packed securely, I wish the foam was more custom form fitting for future transport. Perhaps it was because this was a demo model. The mount itself is a work of art. Its Ferrari red finish is superb and the materials, anodized aluminum, stainless steel and brass are obviously high quality and precision machined. There is no plastic (other than the knobs) or decals. Even the prominent “Made in Italy” is machine etched into the fork arm. The base plate on the Geoptik is color matched and the mount, when seated, moves smoothly with no stiction when making Azimuth adjustments. The altitude adjustments are similarly smooth. The mount came shipped with a two pin European style AC adapter which I had to exchange, and the M Uno manual was somewhat dated referring to the older synscan controller rather than the current StarGo system. And the instructions seemed to lose a bit in the rough translation from Italian. A separate manual for the StarGo controller, however, was also sent on a thumb drive. This manual has since been updated and is available online. A brief word on the StarGo control system. I had some early growing pains when trying to connect various ASCOM based programs with StarGo. However, Luciano Dal Sasso at Avalon and his team, have been immediately available to not only answer my questions, but also to promptly implement changes in the firmware when glitches were noted. The controller is already up to firmware version 4.4.6(?) and I’ve seen at least four different versions in the past year, reflecting the fact that it is an ongoing work in progress. Despite this, I find it to be a very intuitive system with great capabilities and compatibilities. 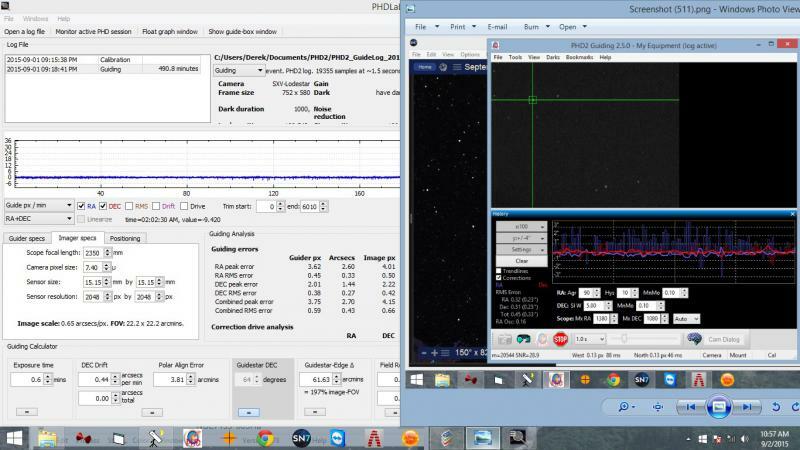 The software and ASCOM drivers presently run seamlessly with Starry Nights PP7, Sequence Generator Pro, Alignmaster, PHD2, Maxim LE, StarTarg, Optec Focuser, Team Viewer and a web browser simultaneously on my laptop with no conflicts. I believe that the fact that StarGo is indeed a work in progress is a good thing. It seems to be a system that is remarkably adaptable and upgradeable to new technologies and will not likely become outdated. 1) The StarGo hand controller at first seems somewhat out of place, more Fischer Price than Avalon in terms of it being light plastic, and with minimal functionality outside of directional, speed and focus control. There is no display, data base or go to on the handset. So you need a laptop in the field, even if just observing. However, StarGo allows connection via Bluetooth, at least with tablets and android devices (i-phone compatibility is pending, I believe). Also the control system can manage focusers, filter wheels, rotators and other accessories which can connect directly to the aux ports on the control box. So I rarely use the hand controller. 2) In the case of the M Uno, the StarGo control box is embedded in the fork base which is a little awkward as the connecting cables can become disconnected as the fork rotates, though this hasn’t happened since I followed Luciano’s advice regarding cord routing. All of the cords can be conveniently routed through the aperture where the polar scope would normally sit. However this, and the fact that the saddle plate with scope attached blocks the polar scope view, makes using the polar scope impossible when assembled in imaging configuration. But Avalon can provide a bracket that will side mount the polar scope. Also there are saddle plate extenders that are “columned” allowing polar viewing between the columns when the scope is centrally attached. These extenders also allow the mounting of longer optical tubes which would otherwise hit the fork base. I drift align every session so never use the polar scope in any event and just leave the cords and scope on. This is fairly simple in both axes due to the single fork arm design and the absence of stiction. It requires a minimum of counterweights. And smartly, the mount has attachments for weights on either the scope side or opposite the scope. 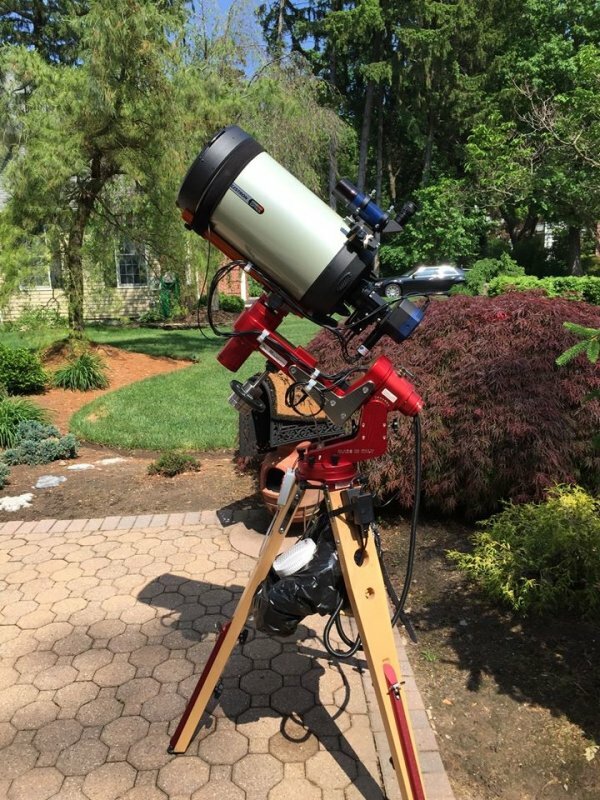 Balancing my SVR90T refractor requires no counterweights at all, and my 9.25 Edge HD with dew shield, finder scopes, Optec focuser and QSI 540wsg requires only 5.5 lbs of counterweight on an optional 80 mm bar (the mount comes standard with a shorter bar). It would require even less than this if I chose the fork arm configuration that would be most appropriate for this SCT. However, I chose this specific configuration so that I could use it for the refractor as well and not have to dissemble the fork when swapping scopes. Finally, because it is driven by a tooth belt / pulley system, it requires no “east-heavy” or off balancing of any kind. Just balance it perfectly and it will track perfectly. No guess work of any kind. The fork arm that holds the optical tube is meant be user adjusted with respect to saddle plate to polar axis distance. Lighter tubes, such as small refractors would obviously be further from the polar axis and can be thus balanced without counterweights. While this adjustment is described as simple, I found it to be not so much so (though easier each time) and would be difficult at best for one person to do in the field. There are two (A and B) sets of positioning holes on the fork arm and three sets on the fork arm base for attaching the lateral shaft plate which holds the two components together. This allows for six different positions, and therefore six fixed distances to place the saddle plate from the polar/RA axis. 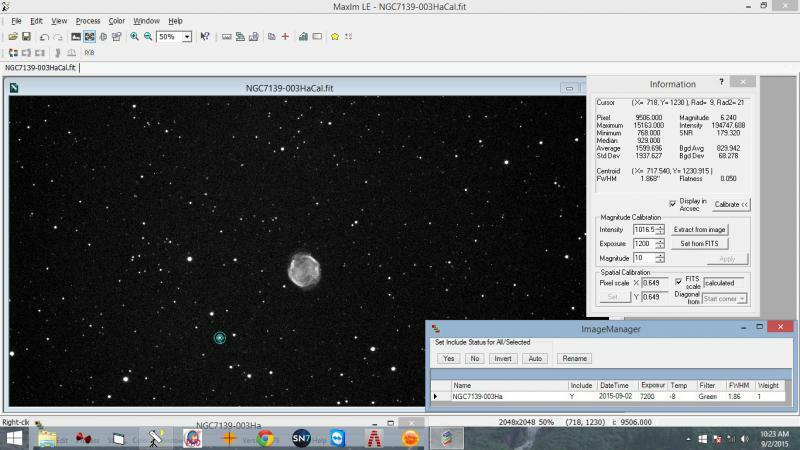 Initially I was using the A3 position for the refractor, and the B1 position for the SCT. I eventually determined that I could use the A1 position for both scopes if I changed the lengths of the saddle extender columns (multiple lengths are available from Avalon) and placed weights on the scope side when using the refractor. This was certainly much simpler than dissembling the fork, and now allows for easy scope swap. If there were a way to manage this fork arm adjustment in a continuous dial in fashion, similar to making alt-az adjustments, without having to dissemble the mount, it would greatly simplify the process. Or your mount could meet the garage door. Afterwards I thought that I noticed a small amount of stiction in the RA axis which might have affected my ability to achieve perfect balance. However, after a brief discussion with Ed, I was promptly emailed a custom made video from Luciano showing me how to simply address the problem. Stiction gone. Portability was one of my requirements. Despite its 20 kg imaging capacity (and I suspect this is conservative), the mount itself weighs only 15 kg. I can easily lift and carry the mount loaded with my refractor to and from the garage, though the 9.25 Edge is a bit more of a chore, and I usually take off the OTA first in that instance. An 11 Edge would be easily moveable on a Scope Buggy. As mentioned, swapping one tube for another is a snap. And the mount is easily separable from the tripod. I would have no concerns travelling often to a dark site with this setup. Because this mount has no encoders nor homing sensors and requires guiding for optimal performance, it would not seem to be well suited to permanent remote imaging. However, Avalon is working on just that using the M Uno as its integrated mount with the Avalon Merlino Personal Remote Observatory. Although at this point, 10 Micron and Software Bisque have better offerings for remote imaging, I’m curious to see how this develops. I suspect that Avalon will consider encoder equipped mounts and have heard that a mount with greater load capacity is in the works. Interestingly, the mount came with no documentation about or instructions regarding use of the polar finder scope. It seems like your basic non-illuminated CGEM type polar scope with simple setting circle and etched big dipper and Cassiopeia. As mentioned it can either be mounted on axis or with the side bracket. I’ve never used it so I don’t need to know more about it. The M Uno / StarGo does not have a pointing model, and though I understand Avalon is working on a multi star alignment routine, I don’t find it necessary. Even at a focal length of 2350 mm, after setting the home position and doing a single star sync, the next chosen star regardless of location is always on my chip. And if I sync on a star near my target, the target is always very nearly centered. This might be different if I had a lot of cone error. Plate solving / centering is making pointing models somewhat obsolete anyway. This mount is very quiet. In the garage at ten feet away, even at maximum slew speed (up to 1400X sidereal at 12V) I cannot hear it. And when close enough to hear, the high pitched musical note is delightful. The innovative belt pulley drive system has other benefits. The complete absence of backlash is wonderful, one of characteristics that makes this mount so superbly guidable. It is advertised as maintenance free and though I can’t fully comment after a year, I would not be surprised if, barring another freak accident, I never had to touch the innards again. Periodic error as we commonly understand it with worm/gear drives is not applicable and PEC is not needed. However, even multistage belt driven mounts have periodic error, but it is averaged over the four pulleys, over a much longer cycle and is easily guided out. So again the numbers are not truly applicable if guiding. I’ve not measured mine, but it has been measured in the 6-8” range. Others using the M Uno have reported better numbers. However, with this mount, numbers are just numbers and I am often astonished by the quality of the subs despite of the PHD graphs. I have had sessions when conditions were so poor due to wind and bad seeing, that the guide trace looked more like a polygraph, and RMS was at best in the 1.5” range. Yet somehow I wound up with impossibly round and relatively tight stars. Star FWHM is also of course seeing dependent, but is in the 2.5” range on good seeing nights for my skies with roundness always less than 0.05 as measured in Maxim. Even when absolute corrections are large, it seems that the mount responds so quickly to pull the star right back on pixel. It has been suggested that because of the elasticity of the belt system, the Avalons would perform poorly in windy conditions. While I have had good results in mild to modest wind, the one and only night in an entire year of imaging that I had out of round stars and had to discard subs was on a night with fairly steady wind at 10-15 mph with strong gusts. I suspect most mounts would have suffered under those conditions. I don’t typically set up on windy nights anyway, so this doesn’t bother me. My sub exposure duration is no longer mount limited. I have begun imaging faint targets with one hour long subs at FL 2350, still with round and tight stars. 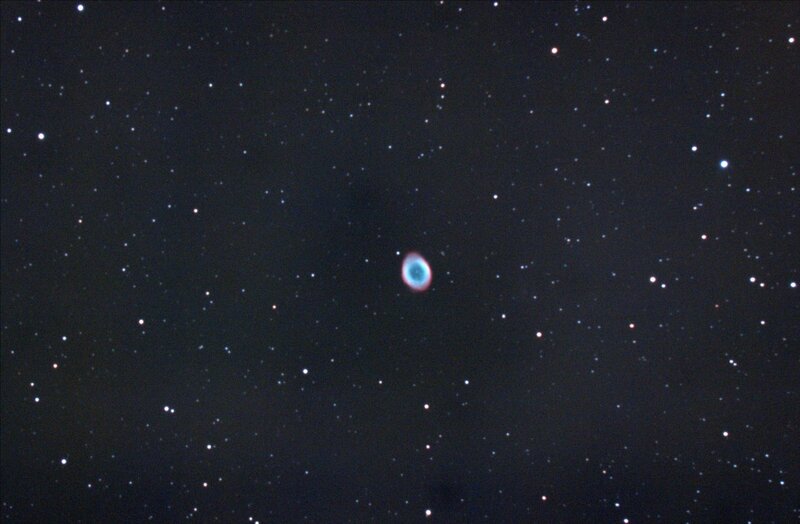 If it weren’t for star saturation, I could probably expose indefinitely. I had reservations initially about purchasing this mount because it is relatively unknown here in the US. I am used to discussing gear issues with other users here and on other forums, and was concerned that the support would be lacking. This should be no concern for anyone interested in this mount. Ed Thomas of Deep Space Products and Luciano Dal Sasso of Avalon have been prompt and thorough in their responses to my many inquiries. In fact, I’ve never had better service with any product that I have owned. Luciano is an amazing resource, and a developer who seems to thrive on solving problems and on constantly improving his product. He has drawn diagrams for me, created help videos, and offered to video conference when I had software compatibility issues. Ed created a Yahoo support group that had one member when I joined, and now has more than forty. It is truly a pleasure interacting with both of them. This mount is absolutely everything that I was looking for. It is highly innovative. Despite being an equatorial fork mount, it tracks and guides as well as a high quality GEM. It is beautiful in its simplicity. It has not once in a year failed to image a target uninterrupted from horizon to horizon. There are other excellent mounts in this “entry level premium” price range, including the AP Mach 1, the SB MyT and the Mesu Mount 200. But clearly, given my needs I made the right choice. In the end if tight round stars at a long focal length, and unlimited sub exposure duration on a portable mount is the ultimate goal ... then the Avalon M Uno is all that … and without a meridian flip. Edited by schmeah, 10 July 2015 - 11:15 AM. That is a nice mount, and it is good to hear about the support you have received. Today's connected world doesn't really warrant worries about support coming from the other side of the world, and if you look the US alone, there really isn't any close proximity if the mount manufacturer is in Washington state and you are in Florida. I hope Avalon release a good and advanced model-like multi-point alignment routine. That would really add to their products. Thanks for the report, it was an interesting read. Thanks for the report. I am currently evaluating upgrading to a newer mount. This has been on my radar. Any issues with SGP and the mount? Edited by torsinadoc, 10 July 2015 - 04:54 AM. Generally speaking, SGP uses ASCOM for talking to the mount, so any mount with an ASCOM driver works. I would not think that there are any issues here. Thanks Per. I was referring more to paucity of users who would share their ongoing real world mount issues. I'm one who hates to badger the manufacturer/developer with frequent questions, but in this instance I've never felt like a nuisance. But your right, the pond is much smaller these days. Thus far the mount plays nicely with SGP, with no compatibility issues or crashes, but I'm still in the early stages of using them together. I would like to chime in that my experience with the M-Uno has been superb mechanically. While the software was very flaky when I first go the mount, the improvement over the last 6 months has been staggering. When a software issue is reported, they don't get defensive, they get cracking and get it fixed. The latest software I tested has been really good and stable. I would also like to add that Luciano told me back in January that he is planning to add native Linux and Mac support. Mechanically, the mount is a work of art. Also, set up times are really fast compared to a German Equatorial mount. Particularly if you clearly mark the dovetail on your scope for repeatable positioning. This is greatly helped by the fact that you can easily detach the counter weight bar with the weights attached. After you put your scope in the saddle, you put on your counter weight bar and you attach the camera and cables and you are ready to go. Pointing was good for me, but not perfect, however slewing was super quiet, guiding was spot on and easy. Thanks for the input Hilmi. Did you ever get the, backfocus, OTA clearance issues worked out with your mount? Edited by Hilmi, 12 July 2015 - 10:59 AM. The seeing was expected to be uncommonly good for northern NJ last night so I thought I would further test the M Uno. This is data from a single dark subtracted two hour long Ha subexposure of NGC 7139, PN in Cepheus. It was taken with a QSI 540wsg on 9.25" Edge @ F/10 for an image scale of 0.65" at FL 2350. It followed a quick and dirty 15 minute drift alignment, and the measured PA error was 3.8 arc-min. From a portable perspective, the total time from garage to imaging in the driveway was about 50 minutes (Placing and leveling tripod, mounting OTA, aligning, focusing, guide calibration etc). Even at two hours exposure, the stars were round and tight. FWHM was less than 2" in both CCD stack and Maxim LE and flatness/roundness 0.05. Guiding was excellent with total RMS mostly 0.3" - 0.4" throughout the evening. I also tried a three hour long exposure. This began to show field rotation due to suboptimal polar alignment, with oblong stars in the field furthest from the guide star/OAG, though the closer stars remained round with FWHM < 2". So I suspect that with tighter polar alignment, since I have a temperature compensating focuser, I could do a single exposure over the course of an entire imaging session ... though there is probably no good reason to do this since I would likely wind up sky limited and with saturated stars. But clearly, I am no longer mount limited. And here is the guide data. Thanks TestnDoc. It's curious. Using available calculators, I would have expected to see the effects of field rotation with far shorter exposures with this degree of alignment error. I should have a PA error of 1 arc-min or less to get less than 1 pixel of rotational distortion in the stars furthest from the guide star, with this sub duration, focal length and declination. Some say that excellent guiding can compensate partially for polar alignment error, but I don't quite understand how. It seems that this mount is very forgiving. What numbers did you put in the calculator? Angle of separation was 33' I believe which was based on a rough measurement from the center (though the guide star was off center) of guide FOV to distal edge of CCD FOV (measured in SNPP ). Edited by schmeah, 02 September 2015 - 10:03 PM. What is the point of the spacers available and how do you determine how much CW you need? The dec spacers allow for clearance of the fork base for longer OTAs. They also permit more balancing flexibility. They also allow for use of the polar scope with OTA attached when using the the longer columned spacers. In general, minimal counterweights are needed depending on the fork arm configuration... from none to 5lbs with my various configurations and OTAs. The exact amount just requires some trial and error. Derek, can you tell us about your temp compensating focuser system please ? I'm glad you are happy with your choice after spending one year with it. Thanks for sharing your experience with us. I'm sure many members will be thankful the time and effort you put in writing this excellent report. I was saddened to learn about the accident you had with the mount. Were you able to replace the damaged part ? Excellent! I should put my C8 Edge to work as soon as I finish my current projects with the FSQ106. Thanks much Sedat. I have an Optec TCF-SI focuser that I bought from Deep Space products on Ed Thomas' recommendation. It works like a charm on the Edge. I ran it through one compensation learning session, calculated a temp coefficent of 83 (steps/deg change). I no longer have to do any focusing adjustments between subs, and long subs are no problem because even if the temp changes degrees over the course of one sub, the Optec keeps right up with it. My stars are as tight at the end of the session as they are at the beginning. The damage to the mount was only cosmetic to the rear cell. As you can see, performance was not affected. It was quite a scare however. I was even more impressed that the Edge was not even knocked out of collimation. 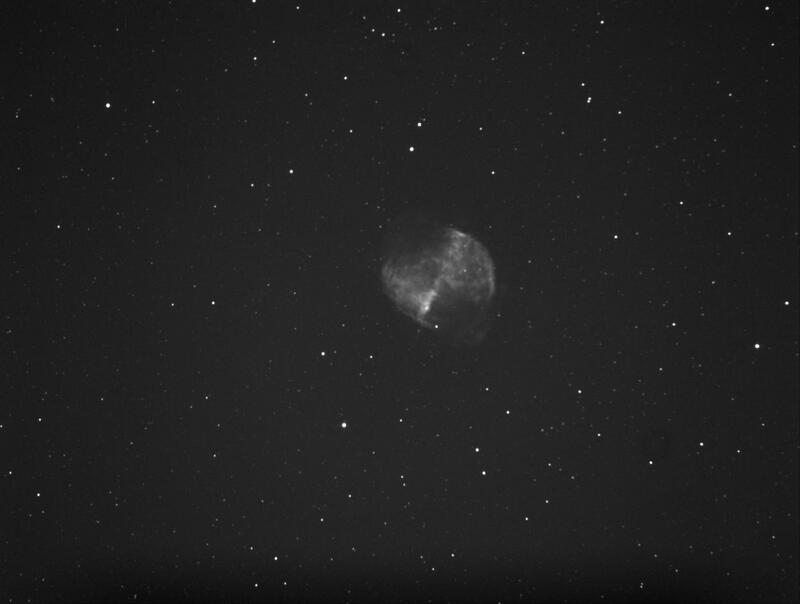 I am super impressed with the Edge ( having previously owned Meade SCTs ). The QSI has a very nice dynamic range. Star saturation is rarely a problem for me in narrowband, even after 2 hour subs. I must say though that I'm really looking forward to seeing your results with the Mesu and Edge. The Mesu would have been my choice if I wasn't fixated on the meridian flip thing. My experience with the M-Uno has been very good, I had struggled with guiding my G11 with mediocre results for years. It was a common site here in the mount forum that I would be asking for assistance. Funny thing is, since I purchased the M-Uno I rarely have to visit the mounts forum. That tells you something about how good this mount is. I also tried it as a completely stand alone imaging system without computer. I used my phone for Go To and used a Lacerta M-Gen II stand alone autoguider for guiding, dithering and camera control. The M-Uno provided a completely pain free imaging session. Everything just worked!. That's what I always wanted to have in a mount. I also like the fact that in some countries you have the ability to choose if you want Avalon's own StarGo system or the Synta controller which allows you to use Eqmod. I took these images a couple of nights back. These are the tightest stars I have ever had. The slight elongation on the right side seems to be something in my optical train as it has been reproduced with the camera at different orientations and two different cameras. I think it is badly machined adapter. The color image was via DSLR and the B&W image was via CCD Camera. Both were with 8" Edge HD at f7. The CCD image is a single 20 minute exposure. I am happy with what I am getting. Edited by Hilmi, 06 September 2015 - 02:14 AM. Great to see you imaging Hilmi! Those are some pretty tight stars. Are you using SGP with the mount? I'm having some issues with it, but it does not appear to be a StarGo conflict. I really only need it for dithering, so if I can figure out how to dither the mount in PHD without SGP, I may not bother with it.